While in the field, it is very important for law enforcement officers to understand the current trends involving synthetic drugs like Spice and bath salts. Synthetic drugs often involve the abuse of chemicals that cause hallucinogenic effects and mimic other illicit drugs such as cocaine or semi-synthetic LSD. It is important that officers understand how synthetic drugs affect a person’s body, and how such drugs can alter the contact they have with someone who is under the influence of synthetic drugs. A common synthetic drug that quickly came to the attention of law enforcement is Spice, a product that is marketed as a legal herbal product. Spice is also commonly known on the street as K2 or synthetic marijuana. Spice causes psychotic effects such as extreme anxiety, paranoia, and hallucinations (National Institute on Drug Abuse, 2012). When it was initially being marketed, Spice was often available at local gas stations and even convenient stores. However, the Drug Enforcement Administration (DEA) identified that the drug has no medical benefit and was being abused. As a result, the DEA designated five chemicals that are used to make Spice as a Schedule I controlled substance, which provides law enforcement a way to address this epidemic (National Institute on Drug Abuse, 2012). The chart below reflects the level of abuse of synthetic marijuana (also known as Spice) in comparison to more traditionally abused drugs. Another common synthetic drug that is very dangerous includes bath salts. Bath salts can be injected, snorted or eaten and can create erratic, psychotic behavior. There have been several nationally publicized stories involving crimes committed by someone under the influence of bath salts. In Miami, Fla. a police officer on patrol pulled up on a subject under the influence of bath salts, who was in a psychotic state and was eating the flesh of a human victim. The subject was under the influence of bath salts and attempted to attack the police officer.There were other incidents around the nation that reflected the harmful and dangerous effects of the abuse of bath salts. Between 2010 and 2011, the American Association of Poison Control Centers reported that calls involving synthetic drug abuse quadrupled and incidents involving bath salts had an increase of 20 percent (National Institute on Drug Abuse, 2012). In October of 2011, the DEA banned possession of the chemicals Mephedrone, MDPV and Methylone, which are commonly used to create bath salts (National Institute on Drug Abuse, 2012). Due to both the increased popularity and psychosis effects, synthetic drugs have created an officer safety issue. Similar to other drugs that produce hallucinogenic or psychotic effects, synthetic drugs can cause a hazard to police officers who come in contact with citizens who are under the influence of synthetic drugs. For example, in 2010 a 21-year-old man was a passenger in a vehicle under the influence of bath salts. The subject battered the driver, kicked out the windshield, and then placed himself in front of a moving car on an interstate highway (Spirk, 2011). To mitigate the increased officer safety risk that exists due to this new drug trend, it is important that police officers be adequately trained to identify and understand the indicators of someone who may be under the influence of these synthetic drugs. It is important to identify erratic behavior and subdue the person as quickly as possible. It is also important for law enforcement to seek medical attention for someone they suspect may be under the influence of Spice or bath salts. For example, these drugs can have an impact on a subject’s body temperature (Spirk, 2011). In conclusion, increased abuse of synthetic drugs is likely to put officers in challenging situations as a result of the psychotic effects of these drugs. It is important that officers immediately recognize the situation and take necessary precautions to protect themselves from the erratic and unpredictable behavior of the subject who is under the influence of these dangerous drugs. About the Author: Jarrod Sadulski is an adjunct professor at American Military University where he facilitates criminal justice courses. Jarrod has 16 years of experience in law enforcement, at both the federal and local level. He has been a member of a counter-narcotics task force led by the Miami Dade Police Department’s Narcotics Bureau. He has also participated in both domestic and international narcotics interdiction operations through his experience in Coast Guard law enforcement. As a police officer in South Florida, he has seen the effects of the emerging trend involving Spice and bath salts. 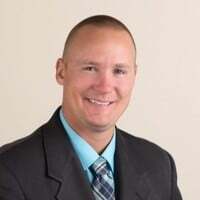 Jarrod has a master’s degree in criminal justice from American Military University, and is currently completing his doctorate in business management with a professional focus in criminal justice. Wiley, J. L., Marusich, J. A., Huffman, J. W., Balster, R. L., & Thomas, B. F. (2011). Hijacking of basic research: The case of synthetic cannabinoids. RTI Press publication No. OP-0007-1111. Research Triangle Park, NC: RTI Press. Retrieved from http://www.rti.org/rtipress.